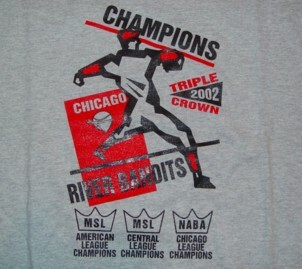 Chicago River Bandits 2002 Triple Crown Championship T-Shirts available. 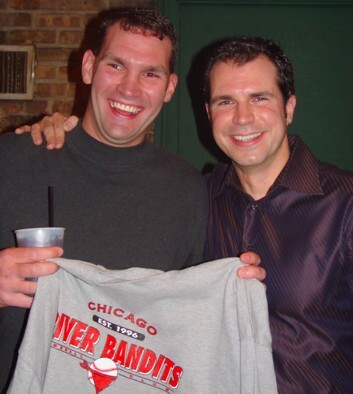 In 2002 all three River Bandits team won their league championships and this shirt was given to all players. 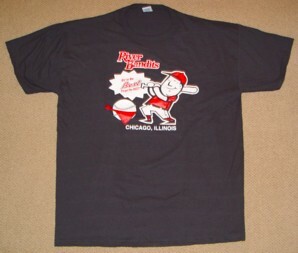 Chicago River Bandits official t-shirt for the 2003 season. $15 short sleeve, $15 long sleeve. This t-shirt was given to players at the Detroit Comerica Tournament team. 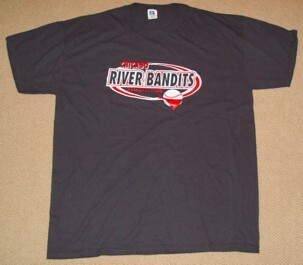 $15, The official 2004 River Bandits t-shirt. Old school look featuring the slogan "We're the Best Forget the Rest." 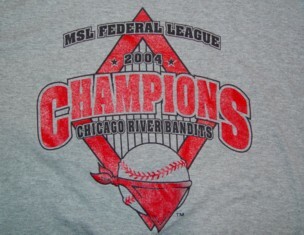 $15, 2004 MSL Federal League Championship t-shirts worn by the Bandits after their AAA Championship victory. 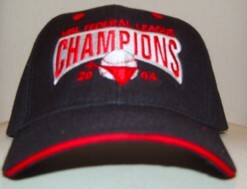 $15, This hat was worn by the 2004 Federal League Champions after the season. Adjustable. 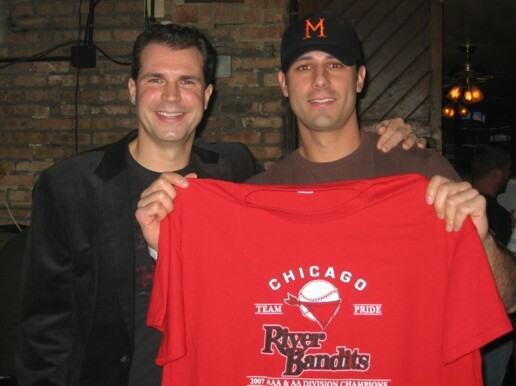 $15, 2005 Official Chicago River Bandits off field shirt. 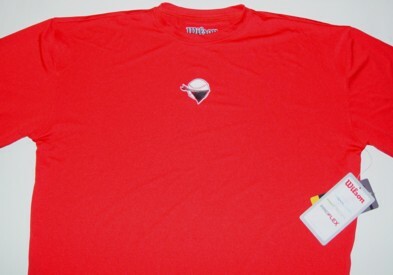 $15, 2006 10th Anniversary T-Shirt. 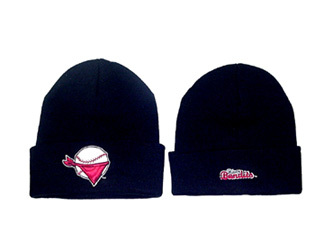 Available in Gray, Red & Black. 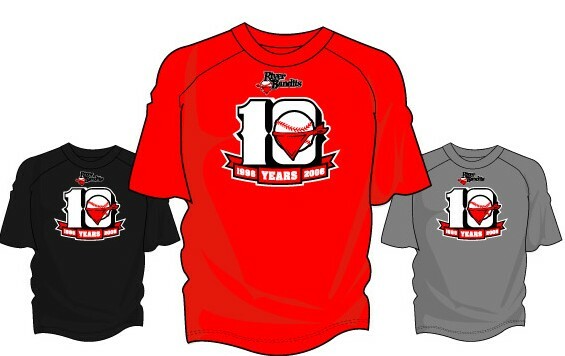 2006 MSL AAA Championship T-Shirts, Red & Gray. 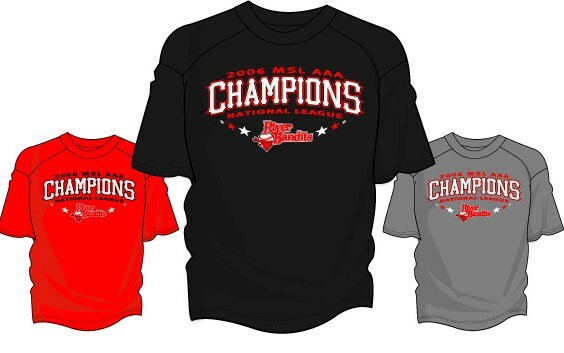 $15, The Official 2007 Chicago River Bandits Division Champion Shirts. 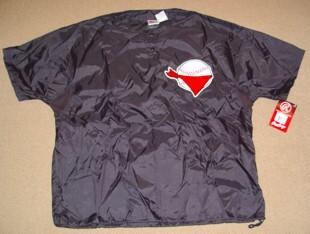 Jackets reduced to $25, 100% nylon short sleeve pullover cage jacket. 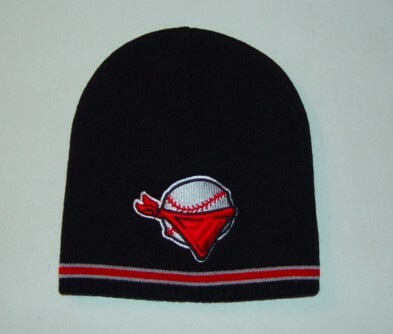 Available in black & red with Bandits logo embroider on left chest. 1 - L Black jackets available. 1 - XL Red jackets available. 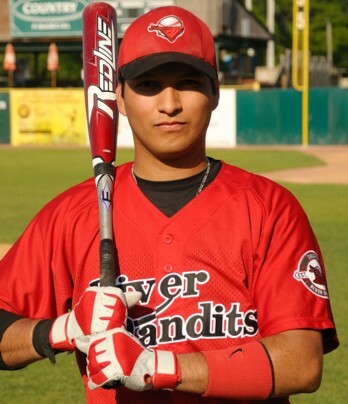 $75, worn by both MSL River Bandits teams. 2012 pants available in 31 inch length. Made by Wilson in Blue-Gray. 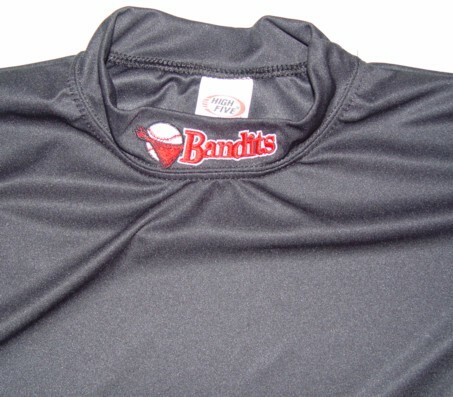 Bandit socks & belts are available for $5 each.